Your search for best Joomla templates ends here. We have compiled a list of professional joomla templates for websites. There are many professional website templates that you can install for a great user experience. Joomla is a popular content management system trusted by millions of website owners and webmasters. The CMS is praised for its flexibility and excellent features that help businesses to add wings to their projects. Its large extension bases and templates are what really makes users stick around it for a long time. Joomla templates are an easy way to enhance the professional appeal of a website. All the templates are beautifully designed by keeping clean and minimalist approach in mind. 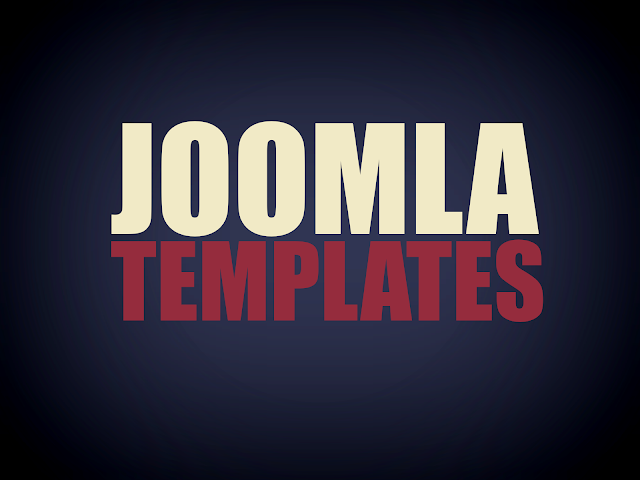 The templates offered by Joomla are quite in demand due to the skyrocketing demand for Joomla. However with so many templates to choose from, it's quite difficult to sort out good from the bad. With the motive to give you ease of searching, we are here presenting you a collection of some premium Joomla templates that are sure to soup up the overall performance and appearance of your website. All of them are packed with amazing features and modern techniques which may help you achieve the desired goal with minimal effort. So, go on reading this article and use these professional Joomla templates for your website. Fontaine is a beautiful, clean, and a responsive Joomla template which looks great on corporate websites. The templates comes complete with an excellent set of features including dozen of widgets and a user-friendly admin panel. Wrap framework and UIKit further add to its flexibility, agility, and flagship performance. Every element of the template is made using modular framework. Featuring the look of Windows 8, BT Metro is a contemporary Joomla template with a dynamic BT content Showcase premium extension. The template is absolutely responsive and is a perfect solution for anyone looking for building a portfolio, e-commerce website, photo album and web designing services. News Magazine is an awesome Joomla template that helps you make your website shine across all the devices. The template is a great option for building news, blogging, or magazine website. It comes with multiple features and options for displaying functions such as Breaking News, Displaying News by Category, comments and more, all presented in a beautiful layout design. Plus, you can also embed videos, showcase latest tweet and more. Frenzy is an elegant Joomla 2.5.x and Joomla 3.0.x template designed to cater the needs of corporate, blogs, or portfolio websites. Built on Wrap framework, with uses ground-breaking HTML5 and CSS3 techniques to add an edge to your website. Its in-built file compressing system improves the loading speed of your website. In addition to this, the template comes with 10 stylish color options which can be selected based on the requirements of your website. Simple yet elegant, Glenon is all what you need to overhaul the appearance of your website. It's fully responsive template that looks awesome while running on a variety of mobile devices. The template also boasts an amazing portfolio option to play around with and it's an ultimate choice for businesses, artists, designers etc. Glenon also feature a solid T3 Joomlart Framework, one of the top-rated extensions. iBizz is a great template for professional building Joomla websites. Featuring a clean and elegant layout, its soft and subtle touch makes it a perfect choice business or corporate websites. Ths creative template is built using a solid Helix Framework, which further adds to its flexibility and fast-loading speed. iBizz also has a nice looking Pricing Table that allows you display a range of products along with their price. Not only this, the template also includes more than 81 module positions for a better level of customization. Also, users are provided with a documentation and tutorial facility to find code snippets and learning ways to customize the template. Kallyas is a popular and modern looking template for Joomla powering websites. This is an ultra-premium, fully responsive template for high-end websites, it's extremely flexible, clean looking, and user-friendly. It comes packed with all the ground-breaking features that help you raise the quality bar of your website. It also features some robust plugins for a better level of functionality. An extension of Nicanian I with Joomla 2.5, Nicanian II is a great looking Joomla template that is designed by keeping the needs of photography based websites in mind. It is a first time for this template to be released as a responsive template with TZ portfolio v3 and T3 framework v3, combined strategically with Joomla 3 and Bootstrap. Another feature which makes Nicanian II unique is its full video screen. Additionally, the template is compatible with Joomla 3, which is fully search engine optimized. Further, its responsive design makes easy to adapt to any mobile screen and device. GossipFX is a professional looking Joomla 2.5 template that easily adapts to the specification of any device. This feature-rich template comes with a great deal of custom-modules, variety of color options, two menu styles, and 10 varying background styles. GossipFX is built using solid Gantry Framework, which works well on magazine websites, blogs, corporate and portfolio websites. It also features two homepage options- magazine and business. Corpoboost is a highly versatile and clean template dedicated for Joomla 2.5.8 and 3.0.2 version with Bootstrap framework. This fully responsive template is an ideal choice for corporate or portfolio websites. It comes packed with amazing features including integrated slider, header pattern changer, animation, more than 40 options for changing background patterns, bootstrap style menu and much more. It also features an image gallery for displaying photos and options for social link and module styling. And that's all! All the above mentioned templates are versatile and stylish enough to revamp the performance of your website and give it a competitive advantage. Jason Roiz is qualified web development professional who is great at delivering focus in his writings. He meets expectations for OSSMedia, a outsource Joomla development company which also giving proficient WordPress, Drupal and Magento development services.